GEF Incorporated, The Experts in Grating! We can Engineer, Design and Fabricate all your grating requirements. DURAGRATE® is the chemical-resistant flooring choice for many industrial applications. The high resin content provides for long maintenance-free performance. The strong mesh grating panel allows efficient on-site cutting to minimize grating waste. 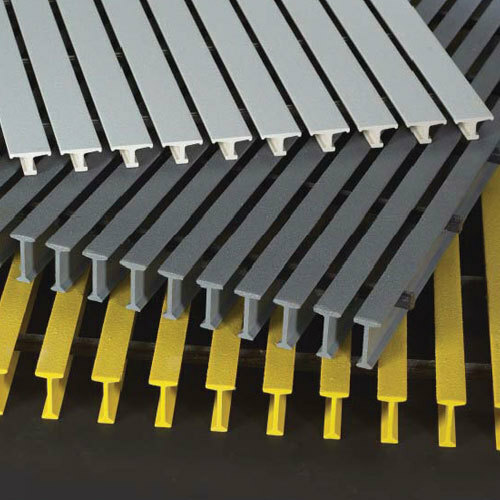 Standard SAFPLATE® grating has a concave profile on the upper surface for skid resistance. 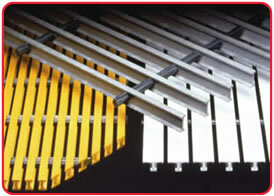 DURADEK® grating design implements a three-piece cross-rod system which ties the bearing bars together to provide superior stability on the gradient panel. SAFPLATE® is a flame-retardant product utilizing a polyester or vinyl ester resin. The bearing bars use both longitudinal and multidirectional reinforcements, as well as a synthetic surfacing veil to provide unequaled corrosion resistance. DURAGRID® custom grid and grating systems are designed to accommodate specific applications that cannot effectively be met by our standard fiberglass grading. DURAGRID® offers the customer options such as selection of bar spacing, bar shape, cross-rod placement, custom fabrication, custom resin and color.